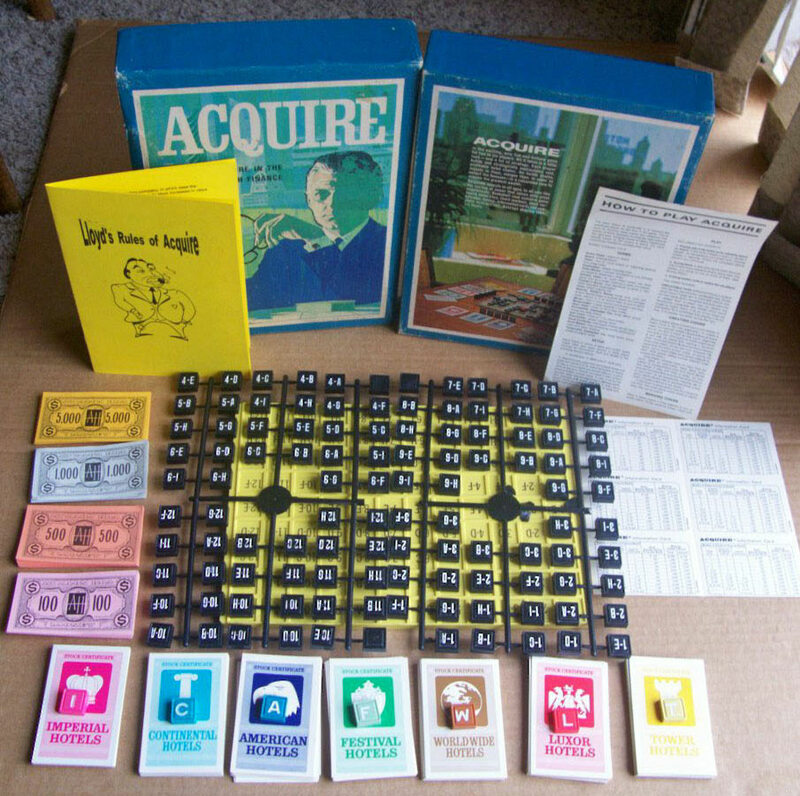 Avalon Hill’s first production of ACQUIRE was in 1976. The front of the box had the same artwork as the 3M editions, but the box was a two-piece design instead of the outer-sleeve/inner-box design employed by 3M. The board was the same as the 1968/1971 3M production runs, but in a brighter yellow. Avalon Hill produced these editions through the mid 1980's. 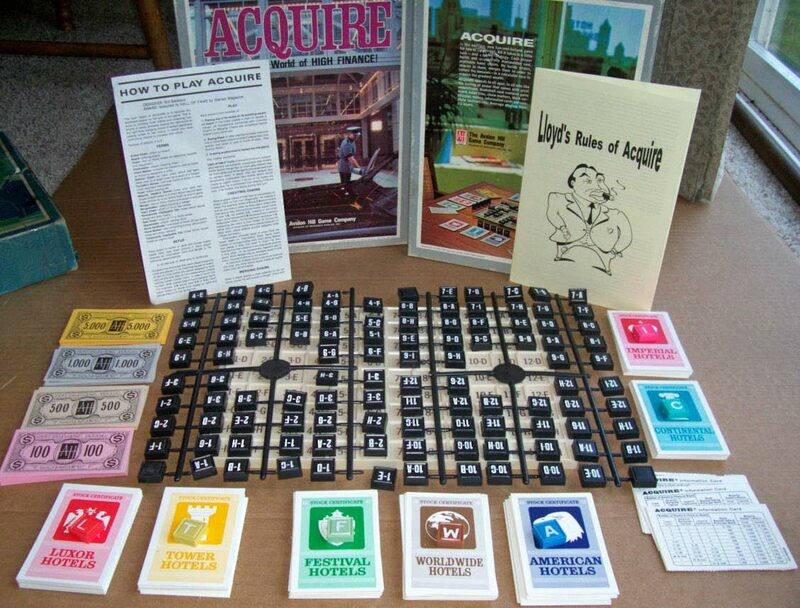 Avalon Hill changed the artwork on the box during production runs in the late 1980’s and early 1990's to display a prominent hotel in Baltimore. The board was changed to a tan color and the color of the $500 bills was also changed from salmon to tan. In 1995 Avalon Hill abandoned the “bookshelf” look and produced a bigger, flat board with cardboard tiles. It was a disappointing version in terms of the tiles being able to slide across the board, but it introduced the “Special Power Variants” to the United States. 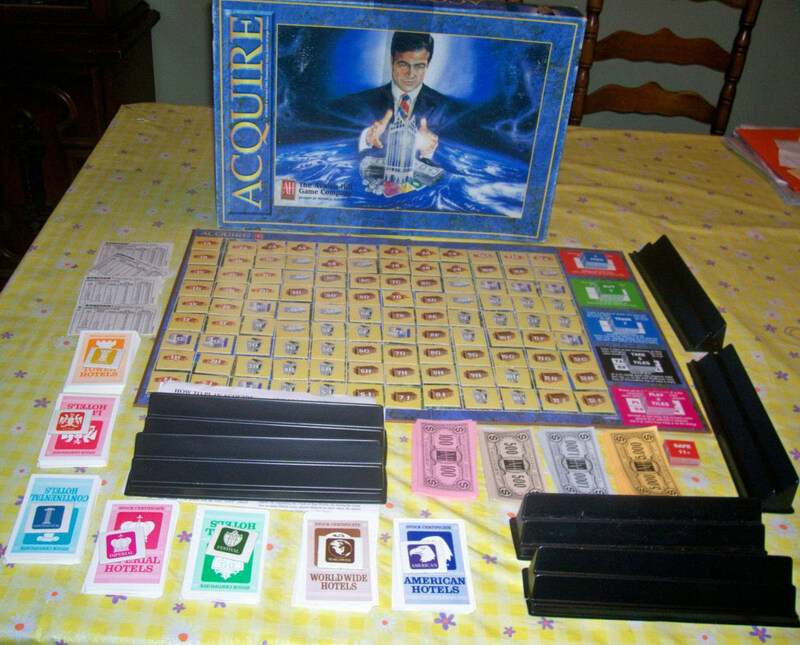 Special Power Variants were tiles that could be played during the game to allow the player to make a "special" move during their turn, such as buying extra stock or playing extra tiles. The background of the board was a map, which was a throwback to the original concept game. Tile holders were used in this version since the cardboard tiles were too thin to stand on their own.